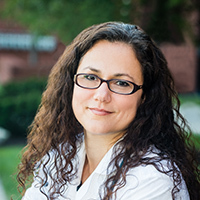 Tracy Turner received her Associates Degree in Nursing from The Community Colleges of Baltimore County – Catonsville, her Bachelors Degree in Nursing from The Notre Dame University of Maryland and her Master’s Degree in Nursing from Chamberlain University. She is certified in Family Practice by The American Academy of Nurse Practitioners and has additional certifications in Critical Care and Cardiac Medicine by the American Association of Critical Care Nurses. She is a Baltimore native currently residing in Gambrills, Md. with her husband. She has two grown sons; one is a Marine veteran and the other is currently a student at Louisiana State University.